contain hydrolyzed sodium hyaluronate as well as high and low molecular weight hyaluronic acid. 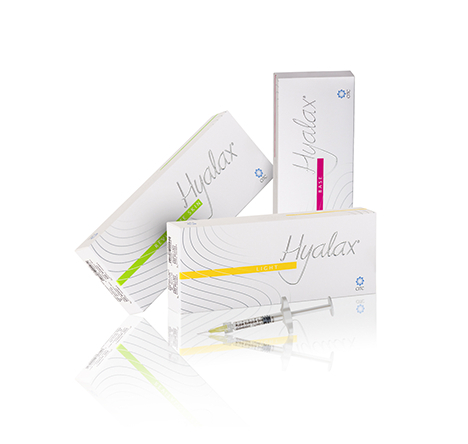 This unique concept of hyaluronic acid use in three different forms provides multi-level skin restoration and moisturizing. Natural moisturizers, antioxidants and vitamins, that are contained in Hyalax® SKINCARE products, will give your skin a deep, long-lasting moisturizing, leave it smooth, soft and will slow down the aging process. Active moisturizing and soothing face and neck mask. Moisturizing complexes of the mask provide a pronounced moisturizing effect, instantly saturating the skin with moisture. Healing components of the mask soothe the skin, reduce inflammation and redness, and contribute to the rapid recovery and repair of the skin. This is the ideal product for a home care. It can be used for the instant ”beauty” effect, skin moisture, skin inflammation relief, redness and the feeling of tightness or dryness. Professional use: the mask is used to restore the skin after cosmetic procedures, including the aggressive ones. is a highly active moisturizing and regenerating face and neck mask. With its balanced and carefully selected composition, the mask has a pronounced moisturizing and soothing effect on the skin. Active repair complexes of the mask contribute to the normalization of tissue tropism, skin density and elasticity recovery. The hydrolyzed hyaluronic acid’s disaccharides penetrating deep into the tissue, stimulate fibroblasts, restoring the balance of collagen and elastin synthesis processes, which contributes to the skin tone and elasticity recovery and removing of surface and deep wrinkles. 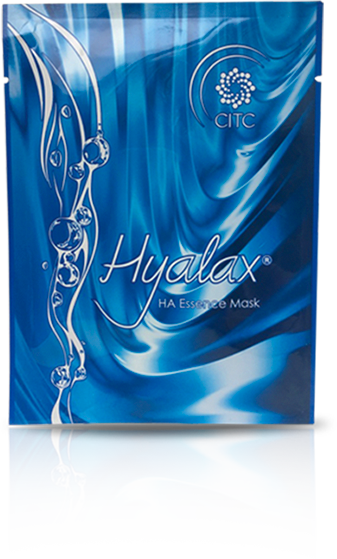 Hyalax® HA Moisturising Mask is recommended for post-procedural period for skin regeneration and synergy of therapeutic effect after aggressive procedures, such as injections, instrumental and laser procedures and chemical peelings. The mask can be used for professional and home home care procedures for powerful skin moisturizing, wrinkles removing, skin tightening and lifting. It also has a significant rejuvenating and moisturizing effects. Active Ingredients: Betaine, Glycerin, Sodium hyaluronate, Hydrolyzed sodium hyaluronate, Sea whip extract, Cucumis sativus extract (cucumber), Dendrobium nobile extract, Panthenol, Allantoin, Creatine, Trehalose. is a moisturizing, regenerating cream for restoring the beauty and youth of the skin. A rich composition of nutrients and specially developed active formulas give the skin a second youth and health. It’s velvet texture and active components, saturated with vitamins, antioxidants and active formulas, envelop your skin with a delicate veil, instantly bringing it back a sense of comfort, freshness and tenderness. A unique complex of three different forms of hyaluronic acid contained in the cream, rehydrate skin at all levels and restore metabolic processes. Hydrolyzed hyaluronic acid, which can easily penetrate in deep layers of the skin, and integrate the metabolic processes, stimulates the synthesis of collagen and elastin, favorizes natural restoration of the skin’s density and turgor, as well as restores natural elasticity and youth of the skin. A special complex of squalane, allantoin, trehalose and jojoba oil nourishes the skin and restores the protective lipid layer, favorizes the renewal of the epidermis and rejuvenates the skin at all levels, giving it softness and silkiness. Active ingredients: squalane, jojoba seed oil, sodium hyaluronate, hydrolysed sodium hyaluronate, dextran, niacinamide, tocopherol acetate, ubiquinone, allantoin, trehalose, cucumis sativus (cucumber), scutellaria root extract baicalensis – Baikal helmet, sea whip.